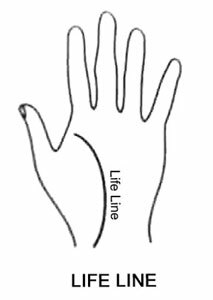 All the lines on the palm however big or small, thick or thin are helpful in determining the speed of the life force of the individual. 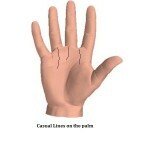 Therefore it is necessary for an expert palmist to make a critical study of each line found on the palm. 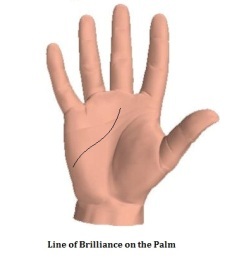 The clear and deep long lines on a palm indicates success, while the broken, thin and indistinct lines are a handicap for the person. Every man has 7 main lines and 12 secondarty lines. 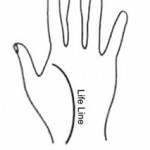 The Life Line – It is also called as “Paternal line or Age line”. This has the greatest importance on a palm. Everything in life is in the line. 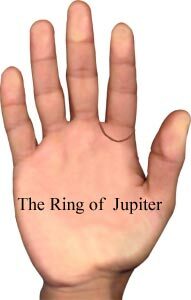 The life line commences from under the Mount of Jupiter and originates from the side of the palm near the thumb and the index finger surrounding the Mount of Venus and ultimately ends at the bracelets. This line is seen in all human beings. A person’s age, health, sickness and all can be known from this line. 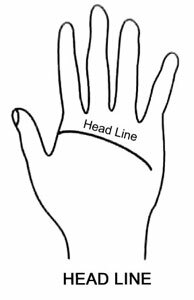 The Head Line- This line starts from the Mount of Jupiter or from above it.In most of the plams, the head line and the life line originate from the same place. 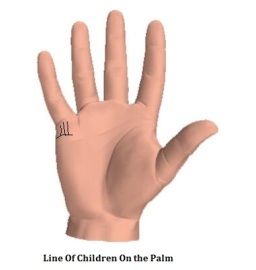 The Head line divides the palm into two parts. If the line is long, deep and distinct, then the person would have a sharp mind and would be an intellectual. If it is faint, indistinct or appears broken at several places then the person would be weak-minded or a labourer. The study of a person’s brain is done with the help of the Head line. The Heart Line– This line starts from under the Mount of Mercury, separating the areas of Mercury and Harshala, reaching under the index finger and the Mount of Jupiter. 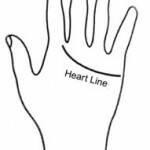 This line is directly linked to the heart and is found in almost all palms. This line is absent in robbers and cruel people. If the line is weak, then the person would be inhuman or merciless. 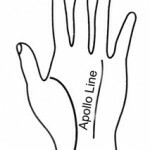 The Line of Apollo or Sun– It is also called the “Line of Success”. The source of the line is different in different plams but ultimately it ends at the Mount of Sun. 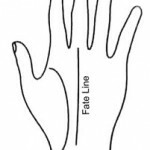 The Fate Line– This line is not visible in many hands. It commences from different places but it ends only at the Mount of Saturn. 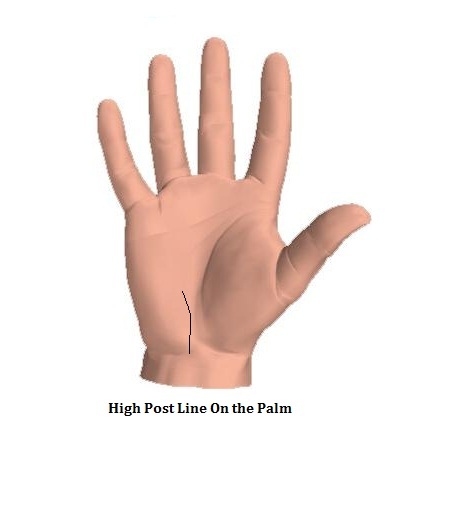 This line develops from below the palm towards the upper side. This line is found in only 50% of the population of the world. 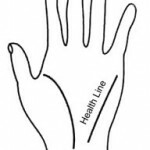 The Health Line– This line is related to health and it has no fixed place of commencement. But it terminates at the Mount of Mecury. 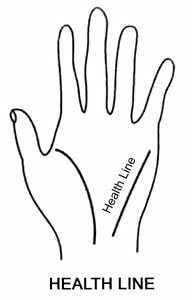 Health and sickness are studied with the help of this line. In some cases the line is thick while in some others it is very thin like a hair. 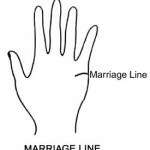 The Marriage Line– It is also called the “Love Line”. It is situated on the Mount of Mercury. 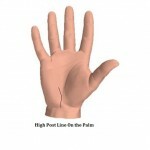 This line comes form the outside of the palm towards the inside of the plam on the Mount of Merucry. In some hands 3 or 4 lines are found and it does not mean that they shall marry that many times. 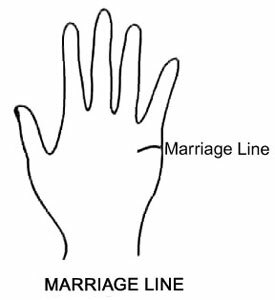 If a cross is found on the line then the marriage or the engagement of the person would be broken. If there are some small signs on the line then the perosn shall have illegal affairs. The Ring of Jupiter- It makes a half moon on the Mount of Juptier and covers its whole area which looks like a ring. The Line of Mars– This line commences from the base of the life line near the thumb, passes over the area of Mars and goes towards the Mount of Venus and line of Mars, but its place of commencement is not sure. The Ring of Saturn– This line surrounds the Mount of Saturn in the base finger of Saturn. 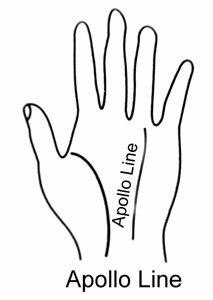 Its one end lies between the fnger of Saturn and index finger and the other end lies bewtween the finger of Saturn and the finger of Apollo. The Ring of Sun– This surrounds the Mount of Sun like a ring. The one end of the ring lies between the finger of Saturn and the finger of Sun and the other end lies between the finger of Sun and the little finger. The shape of the ring remains the same in all hands. 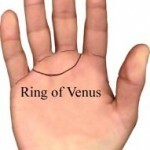 The Girdle of Venus- This commences between the index finger and the finger of Saturn and ends between the finger of Apollo and the littel finger. 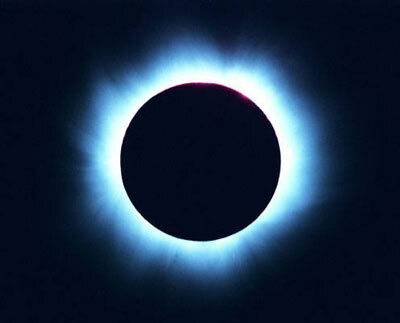 It encircles both the Mounts of Sun and Saturn.Despite the name it has no connection with the Mount of Venus. The Moon Line– It is a line in the shape of a bow. It commences from the area the of Moon, passes over the Neptune and Harshal areas and ends after reaching the Mount of Mercury. 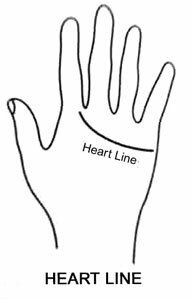 This line is seen in very few hands. 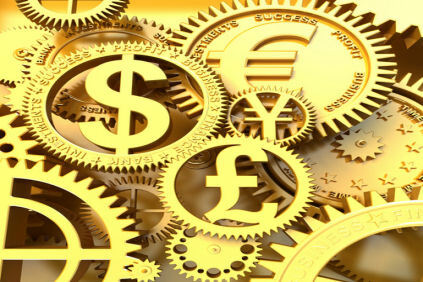 The Line of Influence– It enhances the influence of any line with which it is found. 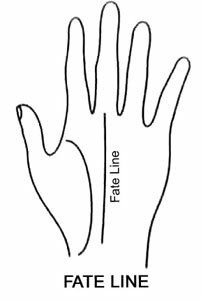 This line passes over the areas of Moon and Neptune and reaches the Fate line. In some hands it is double and in some hands it is treble. Its origin is from the Mount of Venus. 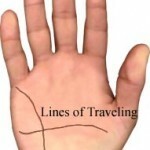 The Travelling Line– This line denotes all kinds of travels. This passes over the line of Moon or is seen proceeding from the area of Venus towards the area of Mars and is seen crossing the area of Dragon’s Head, moves towards the Mount of Moon. Such lines are both thick and thin. The Lines of Children– These lines are seen near the Mount of Mercury in the form of vertical lines over the marriage line. These lines are very thin and cannot be seen with the naked eye. 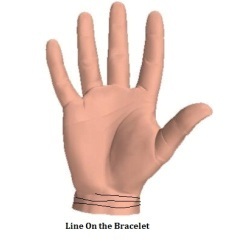 The Bracelets– These lines are found on the wrist and they are different in number in different hands. Some hands even have four lines. 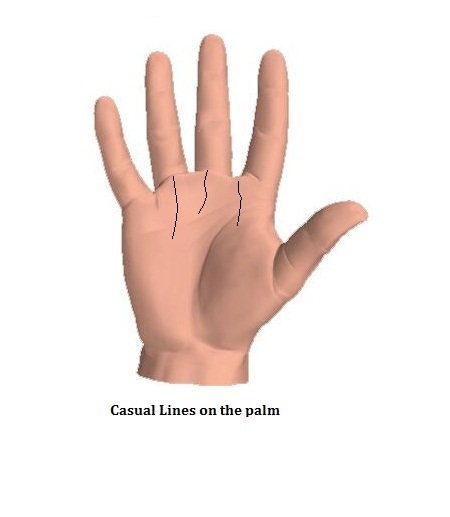 The Casual Lines– These lines are formed from time to time and show the bad and good times of a person. They are not permanent and disappear once the momentary influence is over. These lines form in different places on the palm. 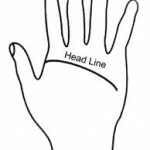 The High Post Line– This line commences form the wrist and is seen proceeding towards the area of Dragon’s tail. If this line is deep and distinct, the person shall certainly attain a great post in life.